Happy 13th Birthday to Us!! 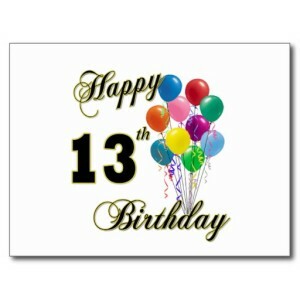 Proud to say that our Mac Users Group turned 13 this month. Hard to believe in April 2002 we launched this and still going strong today. Thanks to all those involved, the members and those that support the group. Looking forward to more years to come. Great meeting today. Here are the links to what was covered. We covered Apple’s Preview application and Quicktime Player. We did an overview of BusyMac’s applications – BusyCal and BusyContacts. Our three web sites we visited were: Mac-Help Forums, Randy Singer’s Routine Maintenance web site and OS X Daily. We had some awesome dialogue on the new Apple Watch and when they do get shipped we can’t wait to see our members with this latest Apple product. Our monthly meeting is scheduled for this Saturday, April 18th from 2:00pm to 4:00pm. We will be taking our normal look at OS X applications, iOS apps, favorite web sites and more. We look forward to seeing you at the meeting.